3.1 Phillip Lim upgrades the shoulder bag with a modern design, textured leather, and tailored precision. 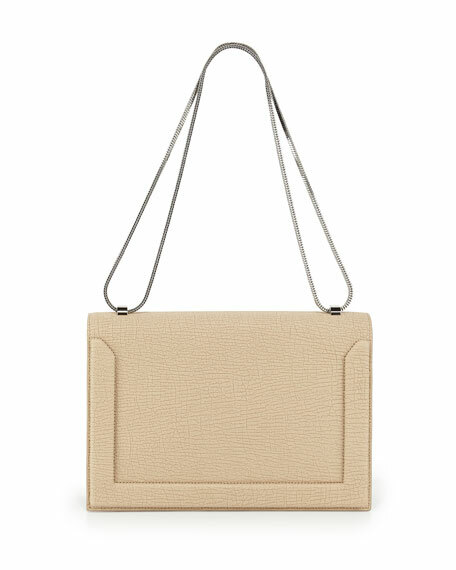 3.1 Phillip Lim textured leather shoulder bag. Silver hardware; contrast black leather at . Box-chain shoulder strap; 10" double drop, 19 1/2" single drop. Flap top with piped detail and hidden hook clasp. 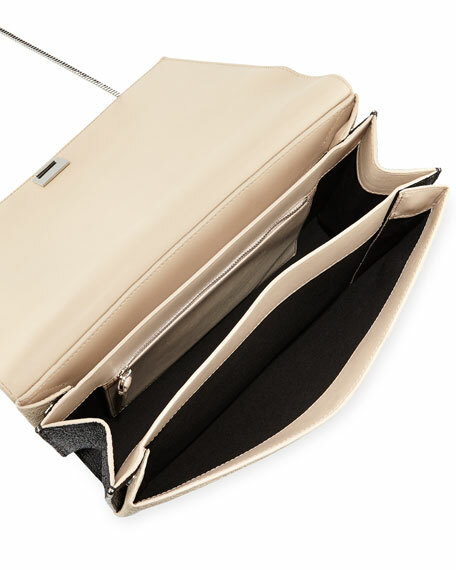 Inside, three open compartments and zip panel. 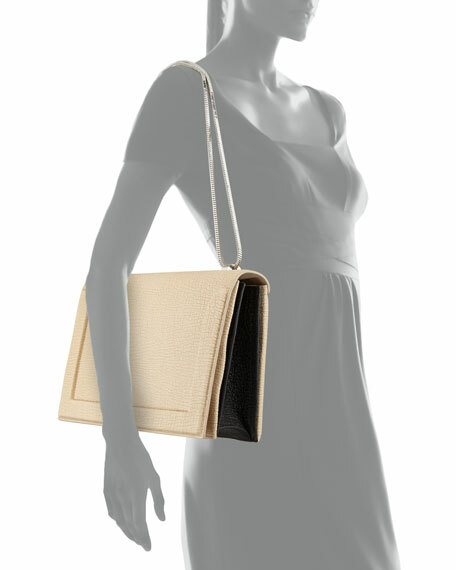 8 1/2"H x 12"W x 3 1/2"D.
Phillip Lim, who interned with Katayone Adeli, debuted 3.1 Phillip Lim in 2005 to critical success. The designerborn in Thailand, raised in Southern California, and residing in New Yorkis known for clothes that are refined, chic, and effortless.